Review: A European adventure is cut short when British couple Laura and Daniel's passports are stolen and they are booted off a train in rural Romania. They come upon a spooky house in the woods and see something so frightening they cannot talk about it. Fast forward a few months and they are not coping well. Their relationship has fallen apart, Laura appears to be going crazy and the few people Daniel has tried to talk to about what happened have ended up worse for wear. 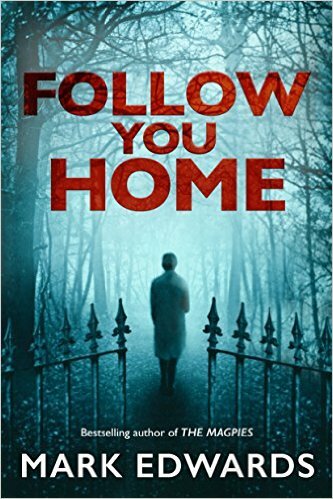 While mostly predictable, this was a fun, fast paced thriller. Daniel was a sympathetic character while Laura was harder to warm to. Granted, most of the book was written from his perspective, but she was not overly likable. The episode in the spooky house is slowly drawn out and while I liked the writing style, I did scratch my head about why they would never talk about it. Don't get me wrong-it was bad, but I was expecting something far more sinister. This was a solid 3 star read for me until the very end-I didn't see that coming and boom! Great way to end the book.